World-renowned for its 40,000 acres of bright red Aztec sandstone outcrops nestled in gray and tan limestone, Valley of Fire State Park contains ancient, petrified trees and petroglyphs dating back more than 2,000 years. A Visitor Center provides exhibits on the geology, ecology, prehistory and history of the park and nearby region. The park also hosts an Annual Atlatl Competition in which participants test their skills with replicas of ancient spears. Open year round, the park has numerous campsites equipped with shaded tables, grills and water, as well as many intriguing trails to tempt hikers. Open daily from sunrise to sunset. 24-hour access to campgrounds. Camping: There are two campgrounds with a combined total of 72 units. Campsites are equipped with shaded tables, grills, water and restrooms. A dump station and showers are available. All campsites are first-come, first-served. A camping limit of 14 days in a 30-day period is enforced. 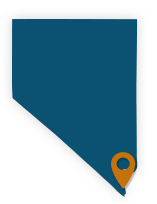 RV Camping: RV sites with power and water hookups are available. Group Area: There are three group areas, each accommodating up to 45 people, though parking is limited. These sites are available for overnight camping and picnicking by reservation only. Call the park for reservations. Picnicking/Day Use: Shaded areas with restrooms are located at Atlatl Rock, Seven Sisters, the Cabins, near Mouse's Tank Trailhead and White Domes. Hiking: Many intriguing hikes are available to visitors. Inquire at the Visitor Center for suggestions on day hikes of varying length and terrain. Visitor Information: The Visitor Center provides exhibits on the geology, ecology, prehistory and history of the park and the nearby region. It is strongly recommended that each visitor make this an early stop after entering the park. Postcards, books and souvenirs are on sale for your convenience. The visitor center is open daily from 8:30 am to 4:30 p.m. The rest of the park closes at sunset. 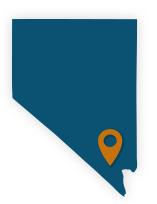 Regional Information: For more information on the surrounding areas, visit the Moapa Valley Chamber of Commerce or the Mesquite Chamber of Commerce. Drive only on approved routes of travel and park only in designated places along the roadside shoulders. Motor vehicles are not allowed on trails. Camp only in designated campground sites. Fires are permitted only in designated grills and fireplaces. Pets are welcome, but they must be kept on a leash of not more than six feet in length. Pets are not allowed in the Visitor Center. All artifacts and other signs of early civilization and recent history are protected by state and federal law. Use the trash containers provided. The park is open from sunrise to sunset unless camping in campgrounds or a group camping area. After sunset, activity is limited to those areas. Rock climbing is limited to specific areas in the park. Inquire at the Visitor Center. The use of drones or any remote controlled aircraft is not allowed. The first working ranch in the Las Vegas Valley, and once a luxurious retreat for millionaire Howard Hughes, Spring Mountain Ranch attracts visitors who enjoy exploring historic buildings, hiking and large, lush lawns on which to picnic and play.